Mailigen is an easy-to-manage email marketing software. With Mailigen you can send email campaigns, text-message campaigns and publish online surveys. I enjoy the simplicity of the drag and drop editor. Additionally, the ability to test your campaigns across multiple email domains, while you're designing & writing content, further exemplifies its ease of use and project turnaround time. Lastly, there are a wide variety of unique & useful templates that make campaign brand implementation less daunting for all. The minor issues I have with the Mailigen platform mainly revolve around the analytics and import/export of individuals in your database. Although it may be due to having the Basic plan, simple functions such as exporting emails based on certain segmentation rules are not available. In addition, creating segments within lists are not as comprehensive and detailed as other email platforms. I am expanding the outreach for our marketing department and engaging with customers on a more personal basis. Benefits that I have noticed is an increase in customers and sales. I have had the opportunity to increase our out reach to double the amount of potential customers. Hi Taylor! Thanks a lot for your review. We are happy to hear that Mailigen has helped you to expand your outreach. We'll keep working to improve our segmentation options. "Good Team, quick service and affordable pricing"
We are using Mailigen service from June 2013 and happyli renewed this year also! The great teamwork and hard effort sees in every step - support to account related issue - we got it solved in 15 minutes max. We have migrated from AWS based email hosting (AWS mailing plan + contact based 3rd party system) to Mailigen because these guys are taking care of every step we need in good mail delivery. Now we can concentrate on mail designing along with other our business than complexity in maintaining email delivery. Mailigen takes every step very well like spam score, subject guidelines and good delivery. None. The contact manage need some work. We got read ratio, delivery is quick and interface is easy for our office staff. We appreciate your feedback and trust in our service! Kind words like this inspire us to become even better. We will keep working to deliver you the best email marketing solutions and customer service. "Mailigen is an asset to my business"
I cannot think of anything that I dislike about their software or service. I have been working with various listserve software companies for over 13 years and Mailigen is the best. Their product is easy to work with and has features that support my business and their customer service is excellent. I have worked with two other mailing list software companies before discovering Mailigen and I appreciate Mailigen's detailed reports, which give insight into the specific programs and products my community are most interested in. "Experience has been very good, and it is very usable and valuable tool for reaching our customers." Designing messages, possibility to see analytics, possibility to create a mailing list. It is easy to use, once it is set up completely. It is easy to automatically add emails to mailigen service and embed subscribtion in your social networks. anlaytics tool is very useful. informing our followers about different public activites we are organizng, also it helps us to promote our partner activities in our weekly mail. we have realized possibility to analyze our client base and their activities and best time when to send emails, because of info provided by analitics tool. Thanks for your feedback - it's great to hear that Mailigen has helped you to analyze your subscribers' behavior. Our main focus is your satisfaction and we'll keep improving all the details of our UI. "Mailigen is the most easy to use email marketing automation service "
I have found nothing what I dislike so far. Wish the price could be lower but I don't mind paying my hard earned $ for such a great service! Do not hesitate to contact sales team as you will get quick and easy demo and will be excited to onboard. Email automation and design customization has been a challenge for my software team. Originally we had all emails hard coded, but while developing the SaaS product realized we need greater flexibility and ability to customize design. Now, automatic emails are easy to administrate, change design and even synchronize with newsletters. It's awesome to have all in one place. Thanks a lot for your kind words - we are so happy to hear Mailigen is helping you to advance your business. We'll keep working hard to improve our services and offer the best customer service! "Simple and clear, ergonomic interface"
Ergonomy, clear backoffice, good dashboard and simple and clear address upload system. Template, html wysiwyg creation is not yet the best; you can to easily break your template (texts/columns/ image alignement...). If you do not know a little about html to go into the source code through the source code button, you ca get too easily lost and have to restard from new template. Depending where you set your cursor and start to type or "backspace" or "delete" a word/character, you mess too quickly with the whole format. There should be a way to better protect these "placeholders / textholders". Be aware that a minimum of html skills are still needed if you don't want some times to pull your hair. Keep our guest informed about the changes/refurbishing of our hotel. Selling packages and offering special deals to our guests. Hello! Thank you for your feedback, your opinion is important to us! With regards to your comment: depending on your needs, you can edit the contents of your email template in one of two Mailigen editors: WYSIWYG and Drag’n’Drop. It is much easier and faster to create and send email newsletters via the Drag’n’Drop editor. All the functions of the Drag’n’Drop editor are made to simplify and enhance your experience building email marketing campaigns. To help you save time, we have created a simple method for moving content blocks and simple editing options. If you have any questions, we'll be happy to assist, just send us an email to support@mailigen.com and we'll get back to you shortly. "Good service and great team!" Very useful tool for our company is the SMS text integration. Mailigen has a great service which quickly responds and helps if there is a problem. Drag and drop editor is easy to use. Also Mailigen offers different types of design. Some template design features are not intuitive. There were some problems with resposive web design but Mailigen team succesfully solved that. We send newsletters for our customers which is one of the most important sales and marketing tool for our company. "Quality product for business needs"
Is there any possibility to save information for social platforms and to add links every time? I do news letters for customers, promotion letters and customer feedback. Also invitations to events. Mailigen system’s session currently timeouts after 20 minutes of inactivity. Timeout log appears after 15 minutes with a warning that within 5 minutes session will be terminated. A session timeout is an important security control for any system and any application. Unfortunately, you are not able to change session timeout duration period. Do not worry if you are creating an email and Mailigen logged you out, we will save your work. All the functions of the Drag’n’Drop editor are made to simplify and enhance your experience building and delivering email marketing campaigns. We have created a simple method for moving content blocks and simple editing options. We have been working on the new Mailigen Drag'n'Drop editor already and we are planning to improve our intuitive navigation and functions to make template creation more practical and easier. To insert unsubscription link you have to simply add merge tag #[UNSUB]# in place you would like to have unsubscription option. Merge tag #[UNSUB]# inserts a “Click here to unsubscribe” link to a URL that makes it convenient for recipients to unsubscribe. Please let us know if you have any question, we are here to help you! The technology is responsive, staff always responds to my inquiries in a timely manner, and newsletters don't get filtered as "junk mail" to subscribers. Love it. So far, no complaints, for about 2 years. In my opinion it seems to be one of the more reliable companies out there doing this. Give this company a look; pricing is reasonable, staff is responsive, product is great. Reaching customers, building a brand, helping to maintain professional image. We highly appreciate your feedback and so kind words! Happy to hear that you are doing great with Mailigen. We will keep working on improvements to make your work with Mailigen even more easier and resultative! "If you want to have it easy - it will be"
Design templates. It is really easy to use, adapt or make a new one from a scratch. There are some minor errors with text formatting, especially with colors. I usually need to go throught all text formtas twice, because sometimes it is not applying some changes. Integration with facebook can be better. Thanks a lot for your feedback, it's very valuable for us! We are keep working on our drag&drop editor and soon you will have a new version, we are sure it will make your work easier and more resultative! You are always welcome with any questions you might have, just shoot us an email success@mailigen.com and we'll be happy to assist. "Use for Email marketing for SARE"
Customer support requests are answered promptly, a low cost and simple option that gets the job done. Sometimes the editor is a bit wonky- transition in the recent upgrade was a bit of a problem, with some obvious features missing and no explanation. I would REALLY like the triggers for auto-responders to be updated to include more triggers than signup only. Other conditions, such as two weeks AFTER subscription would be really, really helpful and easy to implement. We are using the system to distribute email to a list of approximately 14k, broken into four accounts and perhaps a dozen segments. Flexible sharing options enabled this approach. We are very sorry if the transition to the new system interface has been cumbersome for you. We hope that now it is much easier for you to work with Mailigen. Ease of use, features included, very good designs and templates, costumer support team, innovations. It's a little bit uneasy for me to work with segments of my contact lists. We use Mailigen to connect faster with our potential students. We haven't worked with Mailigen for too long, but we have noticed that our events have been better attended which eventually (and hopefully) will lead to a larger number of students who apply for studies in our university. "Mailigen is loaded with features! " One thing that really stands out about Mailigen is the SMS text integration we have seen. You get free 200 sms every month. We also really like the behavioral segmentation features which allows us to segment a very specific group which will ultimately drive more open rates and click through rates with custom emails. I really disliked the trial for 30 days, there is no point of that because the campaign is tagged with Mailigen's branding on every single campaign. I also dislike that the only method of importing contact is through excel and cvs files. Mailigen offers very unique features that other providers don't have such as SMS text feature. It really creates a unique email segmenting group which really helps businesses target the right audiences and create the most applicable campaigns. Our company was able to successfully integrate SMS which is included in the account. It includes the SMS list segment, tracking and reporting. We really had to budget our campaigns because these email credits were used like stamps for each campaign. Glad to hear you like our SMS marketing features. We will definitely take into account your suggestions to become an even better email marketing software provider. "Good but it could be better"
I'm sending my customers Newsletters and the HR department is sending Tests to the applicants. Sometimes we also used it to send a new contract to our clients. "It not just a platform, it our email marketing guru guys"
What I like best is that I have all tools to run an email marketing as complex as I want in a clear, fast and easy to use platform. Not easy to use merge text. We haven't seen recently new templates. To better understand what are merge tags and how can you use them please find helpful articles in Mailigen Support Knowledge base. First article will give you an example how to insert merge data from your mailing list directly into your email campaign. In second article you will find described all Mailigen merge tags. Third article may be useful for setting up list and form field types. And we'll do our best to keep our gallery fresh and with new templates. "Works great for my needs"
The automated emails that can be sent by so many various factors! I can't think of anything, it has all the features I need! I think it's great for what I needed and is very versatile! We send travel tips out to our clients based on the travel date and this has been an amazing tool for us to be able to "touch" our clients so they don't feel like we are ignoring them when we're really busy and they get great little "bites" of information that they actually read! We are so happy that our automation features are helping you with your work! We will keep working to deliver you the best email marketing solutions and customer service. Feel free to get in touch with us any time you would need any help! 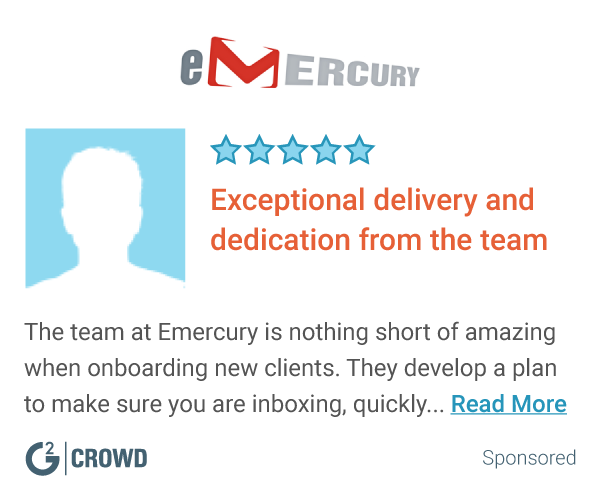 "The Best Newsletter software I have used so far." The system is easily understandable and whenever there is a problem I can easily contact Mailigen and get immediate help. Some of the system aspects could be better like for instance right now there is not an easy way to find the archive URL of your campaign. Since I work in a webstore, Mailigen is my main marketing possibility. "A fantastic service and a great tool - love it! " It is easy to use and beautiful interface. Great way to manage contacts and communicate with those that I need the most. It isn't very flexible. Hard to build segments to the level that I initially imagined. It is quick to grasp and the customer service is beyond any expectations. I feel like a very valued customer. We use it to communicate iwht out 50k customers, it is faster than before and there is lower bounce rate. Thanks a lot for your review! We are happy that you are satisfied with our service and we value your trust. If you need any help while using our software, please ask us at support@mailigen.com. You can do a lot of different things, I like that there is an open chat for any doubt I may have. SOmetimes the platform is not intuitive, some things could be a little bit clearer and more simple to use, starting from the template creation. Sending the newsletter weekly is pretty simple with Mailigen, also I have been using it to send tests. 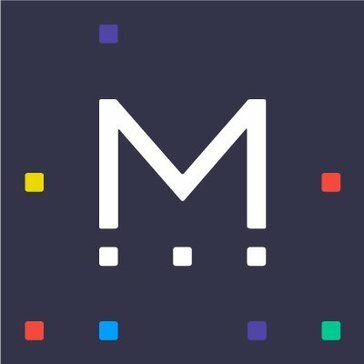 "Traffic and Production Coordinator "
Any issues we've had, Mailigen customer support has resolved them. We had previously used another email software and the customer support was lacking. We researched and came across Mailigen. We use Mailigen for our company announcements. It's a wonderful tool and the reports after each campaign are thorough. "mailigen is very good system!" Mailigen system has a very good support. Very easy to understand system, but when i have question, support helps me very fast. Not really things that I do not like, everything is ok in the system for me. Thank you so much for sharing your feedback with us! We appreciate your trust in our service! We will keep working to deliver you the best email marketing solutions and customer service. You are always welcome to ask any question you might have, just send email: support@mailigen.com and we'll be glad to help. I like easy using process of this platform. Actually there is no reasons to dislike this platform right now. I have used it for several month and all process is fine. We are starting to explore interests and activities of our clients. It is very comfortable way to explore our customer. Thanks a lot for your review. We value your trust. If you need any help while using our software, please ask us at support@mailigen.com. "I like to work with Mailigen"
"Mailigen - good choise for e-mail marketing"
Possibility to write over the images. Possibility to copy part of template and paste it in another template. Now there id possibility to copy-paste within one template. E-mail marketing automatization. Statistics of e-mail campaigns. Follow-up campaigns. We appreciate your feedback and our main focus is your satisfaction and pleasant user experience. If you need any help while using our software, please ask us at support@mailigen.com or (+371) 67491059. * We monitor all Mailigen reviews to prevent fraudulent reviews and keep review quality high. We do not post reviews by company employees or direct competitors. Validated reviews require the user to submit a screenshot of the product containing their user ID, in order to verify a user is an actual user of the product. Hi there! Are you looking to implement a solution like Mailigen?